Dusane has been providing gaming solutions like online lottery, sports betting, rapid games such as keno and bingo, virtual sports system. Our services of gaming software include end-to-end operational implementation and support services. 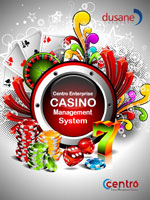 We aim to be one of the valued partners to Gaming and Casino Operators and assist them in enhancing user experience. In order to achieve this, it is imperative to offer an exceptional gaming experience that captivates a wide range of consumers; from the experienced player to casual sports fans and people who enjoy a conventional lottery games. Our experience in the delivery of gaming solutions around the world along with international project implementation provides exceptional value for our customers and entertainment to their players. 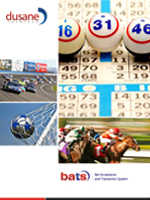 Dusane Infotech’s proprietary betting system BATS (Bet Acceptance and Transaction System) is at the heart of most of gaming solutions on offer. 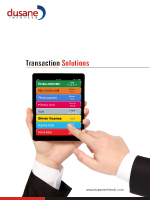 Dusane Infotech has global turnkey implementation experience of gaming solutions in 25 countries across 4 continents. Dusane currently manages gaming solutions implementations and support in Bulgaria, Cambodia, Cyprus, India, Macau, Philippines, US, Vietnam and have a widespread deployment experience in African countries such as Chad, Ghana, Kenya, Mauritius, Nigeria, South Africa, Swaziland, Uganda and Zimbabwe. The deep experience in global deployments enables Dusane Infotech to foresee the challenges and ensure smooth and quick launch of gaming operations.